Here, at Bahoukas Antique Mall and Beer MuZeum, we want to first wish each and every one of you a heartfelt Happy Thanksgiving. We also want to remind you to take a moment to truly be thankful for all that you have… love, family, friends, food and shelter. At the same time, take a moment to reach out to another who may not be as fortunate. Most of all, take time to breathe: breathe in the wonderful aromas of the season, breathe and smile for those you share it with, breathe and let go of all that feels like a burden, breathe… relax … give thanks. 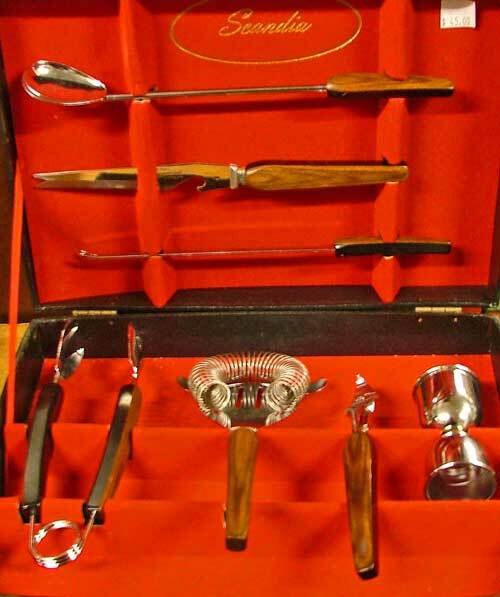 There are many combinations that can be created for your Holiday table and buffet. This is just one sampling. Beautiful gold and white would most certainly add an elegant touch to your holiday theme. 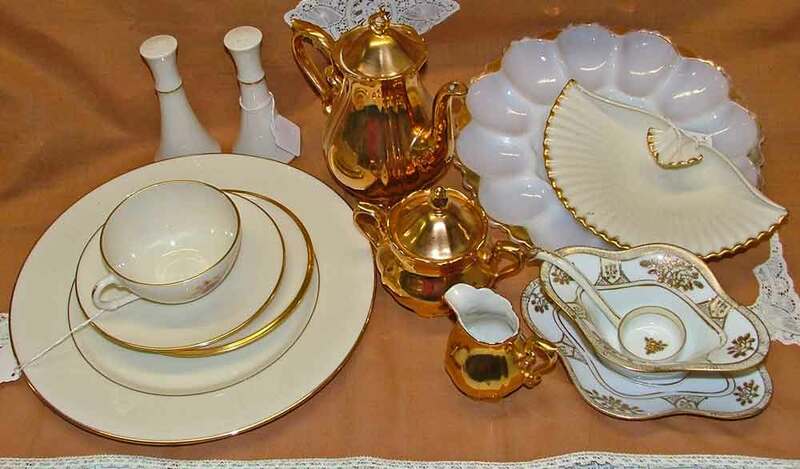 We have place settings, salt & pepper shakers, an amazingly stunning gold tea set, and a variety of serving dishes. 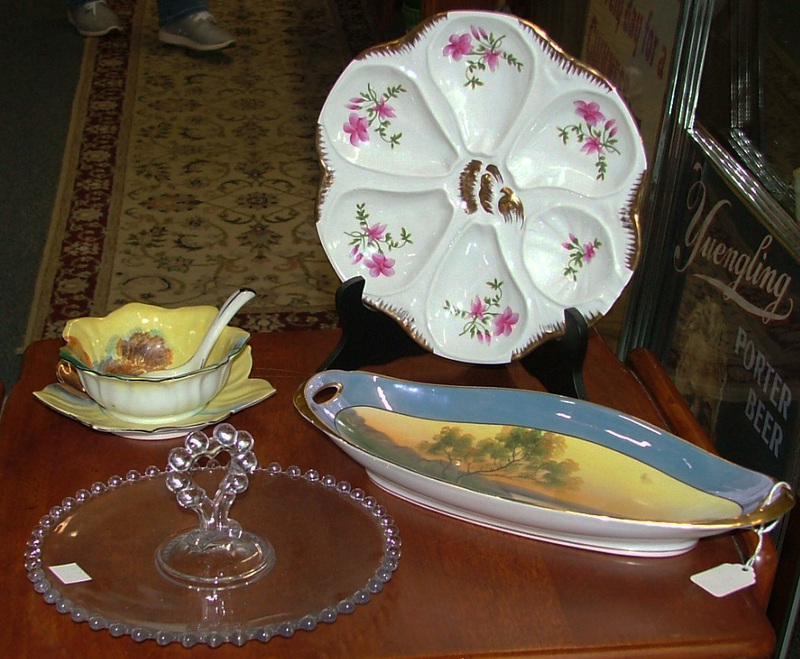 Or many you just want a ‘splash’ of interest – a serving dish … or maybe just the tea set! We encourage you to click on this link to visit RealSimple.com and get 26 unique ways to celebrate the holidays with a bit of splash! Don’t forget that along with what we post, Bahoukas has plenty of wonderful finds to put that ‘splash’ in your holiday theme! We’ll be watchin’ for ya! At Bahoukas, giving thanks means YOU! To that moment, here at Bahoukas we wish to say a very special THANK YOU to each and every person who has stopped by, emailed, commented on facebook, or purchased via eBay. Not only do we appreciate your patronage, but it’s wonderful to continue to make new friends. 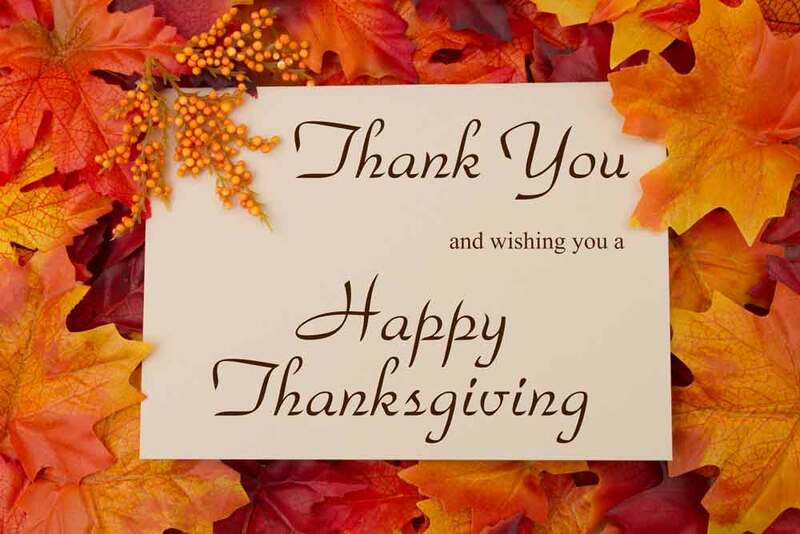 Thank You and Happy Thanksgiving! Looking for the Perfect Serving Dish? Stop in and Browse our shop at Bahoukas. 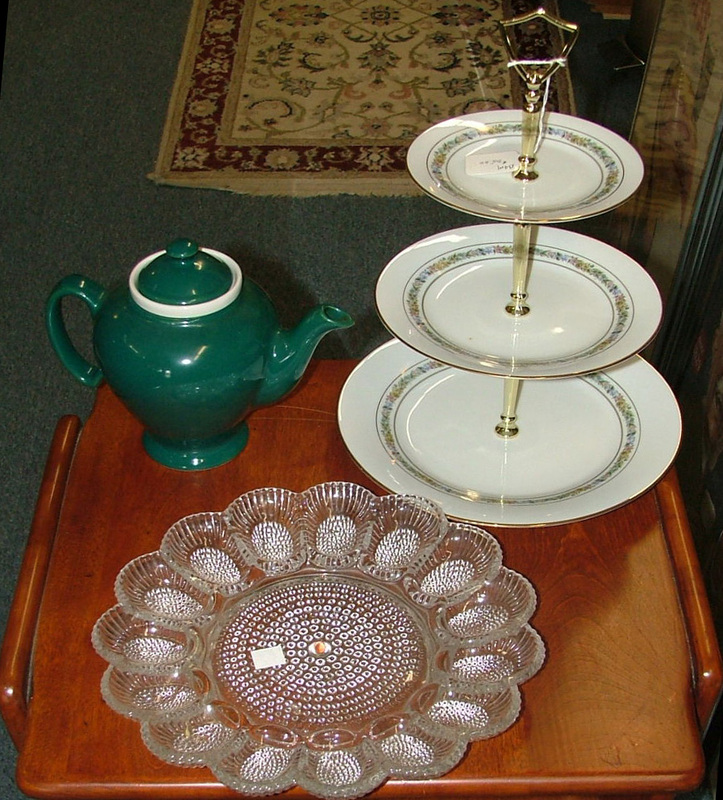 From beautiful platters for cookies and cake to candy, the perfect deviled egg dish, to a variety of serving platters, bowls, teapots and more, we have an eclectic selection of serving pieces to create a beautiful and functional holiday setting.. If you’re into UPCYCLING, you’ll definitely want to check us out! We have many styles, shapes, patterns and colors. Don’t purchase a new one until you’ve browsed the diverse items we have. George is fairly certain he can help you locate the perfect serving dish to create just the atmosphere you desire for your coming holidays celebrations.